I already ran into him on the first day of my stay, during a short hike around the guest house, the first evening after arriving. It approached me against a background of nightfall and lush broadleaf trees, this bowed silhouette with large, black hat. I politely saluted him ‘Good evening.’ (greeting passers-by is always one of the first social corrections a city dweller makes after leaving his natural habitat), and it grumbled something incomprehensible. I saw him again the next morning, when he shuffled into the breakfast room. He queued up, decorated with black sunglasses, looked down when the waitress was serving his British delicacies, and growled something when she asked if the gentleman would prefer two or three sausages. He seated at the table next to mine and started the processing of his plate carbohydrates. A short break was inserted halfway, when he took a sip of his coffee and asked me without giving a look: “Here for hiking?”. “Mainly for the pretty women”, I said while nodding towards the table opposite to ours, where a number of devouring creatures had plumped down, whose ancestors were at the time wisely left behind on the island by the Vikings. He looked at me, as far as that was possible from behind the sunglasses, and something that could pass for a smile appeared on his face. “If you would like to make a long hike, I leave one hour after breakfast”, he said. One hour and eighteen minutes later, I was waiting at the entrance of the guest house in my comfortable hence completely tasteless outfit, when the former shadow appeared. The black hat, dark sunglasses, long coat and black boots passed me by without a word and after a brief moment of astonishment I started to follow him. The glorious woods of the Green Country were reached quickly due to his high pace, and I took the risk of asking a question. Yes, he was indeed well acquainted with the area, already coming here in his youth, lying around the river on cool summer nights. I was still trying to paint that picture in my head, constantly walking one meter behind him, while he deliberately told more. How he kept returning here with friends and women, offering them the perfect setting for endless conversations about literature and poetry. Countless times had he walked these tracks with a girlfriend of that time, who he had met during one of his sparse social escapades at Miss Lucy’s. I’d already read about this place and its notorious binges in the brochure that the owner of the guest house had given me, being mentioned as one of the main attractions in the region. However, she left for the US to pursue a career in show business and he’d never seen her since. After a while we arrived at a small crossroads, where he decided to have a short break, not fully to my dismay considering the shape I was in. He asked where I was from. “From the city”, I said. He repeated those last two words, but this time accompanied by a cynical undertone, while he offered his whiskey flask. “I also lived in the city for a while. Never liked it. Too many people that I actually didn’t want to get to know, in an environment that is completely constructed on reason and ratio. Never a proper view at the stars, too much light.”… “I always remained a stranger in my own town, got the feeling that I could no longer trust anyone after some affairs. Danish or sandwich?”. I opted for the danish, we carefully ate our lunch in silence, he blew his nose and grumbled “Geronimo” before taking off again. I was taking in the astonishing nature and asked my guide after the length of our undertaking, initially answered by some silence. “People waste too much time by asking too many stupid questions. Just make sure you reach a point where you learn something you’ll remember the rest of your life. What’s your greatest sin?”, he asked. “A general disappointment in the entire humanity”, I said. The Hat remained silent, while The Boots drudged on through a long mud trail. The next hill (up and down) was also consumed in silence, he just looked behind him once, and like if he was amused by the visibly weary look on my face, he started to whistle while accelerating just a tiny bit. He sipped another time in the valley and he actually started to talk again. “When distrust becomes destructive, it manifests itself as the impossibility to appreciate anything at all. Those people end up as collector’s items in museums that nobody visits.” We walked on and I hoped for another short break when he opened up his bag again, but that proved to be wishful thinking when he handed over a last snack while carrying on. “Always remember that you’re part of humanity yourself too, so there must be something good about it.”, he said while our path met the river again. He stopped and spoke: “We’re at your point. To get back home again, you just keep walking alongside the water for about four miles. It’s not the shortest way, but the river doesn’t mind.” He shook my hand, tipped his hat and wandered back into the woods. Let’s get back to the roots of folk jazz soul. Oh wait, there is of course not such a thing. It’s something I was obliged to make up because it’s impossible and dishonorable to fit this album in one kind of musical genre, like folk (which folk? ), blue-eyed soul (or even worse and sinister: white soul) or Jazz Fusion (although that would have been very fashionable). Van Morrison was born in Belfast a couple of weeks after the atomic bombs were dropped on Hiroshima and Nagasaki, marking the starting point of a promising musical career as well as the Cold War. Nature (Morrison’s mother was a singer during her youth) and nurture (Morrison’s father possessing an elaborate record collection) did their job and Van already discovered a lot of musical styles at a young age, among others the blues and soul from Lead Belly and Solomon Burke. This triggered him to found his own band at the age of twelve: The Sputniks, called after the Russian rocket that was launched in October ’57. Music already had the upper hand over other interests at that point: did we see Dylan quitting university as a novice earlier, Morrison already dropped out of secondary school in 1960. A lot of other bands (in which he sang, played guitar, sax and occasionally even drums and bass; who dares to state that Van Morrison is just a good singer?) followed, which he combined with being a part-time window cleaner. With one of these bands, as a true Cold War-kid, he toured along US Army bases in Britain and Germany to perform. At the age of 19 things are becoming more professional when he compiles the band Them back in Belfast, although this would always remain more of a live project than a studio group, thanks to Morrison’s frenzied creations on stage, for example during their hit single ‘Gloria’. This considerably contrasted with the nagging and cynical way they behaved in public life (interviews, television performances), which reminds of Dylan again, during his Blonde on Blonde period. Them broke up, but Morrison signed a new contract with their producer to pursue a solo career. While he thought they were recording a number of singles (in New York, where the recordings for Blonde on Blonde led to nothing for Dylan), a solo debut album was suddenly released behind his back in 1967. 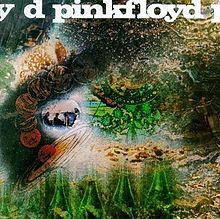 Next to the fact that most of the tracks weren’t worthy to be released (although it delivered Morrison his biggest hit single: ‘Brown Eyed Girl’), the repugnant album cover still makes Blowin’ Your Mind! a poisoned debut. This debut and especially this relationship with his producer initially kept following Morrison like a dark shadow. The producer died, his widow kept Morrison responsible for that and even tried to get him expelled from the States. 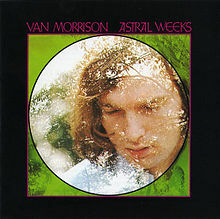 These problems were solved by marrying his girlfriend at that time and delivering 31 songs about ringworms to get rid of his contractual obligations, after which he moved to Warner Bros. On this label, when the Tet Offensive in Vietnam comes to an end and The Troubles start in Morrison’s native country, he recorded his second and first ‘real’ album: Astral Weeks. 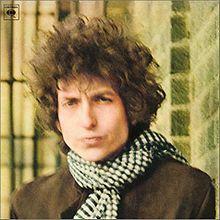 This album, as we extend the comparison with Dylan, might be considered a noteworthy attempt to equate the enigmaticness of Blonde on Blonde. Van Morrison is 23 years old then. Every time I listen to Astral Weeks, this fact keeps captivating me. I know I’m listening to a guy who just turned 23, but what I hear is an Artist who is singing his poetry with the voice of a man who has half his lifetime behind him. The accompanying instrumentation seems to be worked out in every smallest detail by this Artist, who is recording his absolute magnum opus after so many years of hard work and isolation. I hear a bass performance that tries to pull this heavenly voice back to the earth, while a playful guitar and flute are maneuvering in between. The fascination for Astral Weeks reaches another level when discovering the real circumstances in which this sound was born. Morrison’s new producer arranged a group of session musicians for this new album, all having a musical background in jazz. Those musicians indicated that the collaboration with Morrison (not much of a jazz fan at that point) was very inconvenient without many words being interchanged. Morrison would just enter the studio, introduce the songs on his guitar and tell the musicians to play it however they felt like playing it. After the job was done, Morrison highly praised their contribution to the album. No wonder, after hearing his voice dancing throughout the instrumentation and vice versa, the ultimate proof that musical chemistry doesn’t require any words. Stop, and imagine yourself as a fly on the wall of that studio while Astral Weeks is being created. 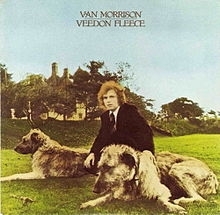 The album opens with the title track, with the acoustic guitar paving the way for Morrison’s beautiful vocal performance, including very interesting lyrics. Those lyrics, dealing with spiritual rebirth, are supported by a flute and violin in the background, altogether making this a good album opener, introducing you into the themes of this album. After we are reborn, we’re lying next to our loved one on ‘Beside You’. It makes clear that this album is some sort of song cycle, with the tracks flowing seamlessly into each other. Morrison is basically singing just another love story, but one that is told by means of some great expressionistic imagery. This song (on which the flautist was never identified!) is a real showcase for Jay Berliner and his classical guitar playing, sounding like he’s been playing with Morrison for years and personally adding the greatest details to this painting. Stand up, start wandering and feel the dew on one of my favorites: ‘Sweet Thing’. This love ballad (addressing more a feeling than a person in particular) kicks off with a sweet, slow acoustic guitar & bass combo. The tempo is raised after the drum’s hi-hat is introduced, and from that point you can see the singer parading, with the flute fluttering like birds around his head. When the strings are ultimately added, you can hear the chemistry between band and singer at its highest point. Side one is subsequently closed with ‘Cyprus Avenue’, a song that reached a legendary status thanks to Morrison’s live performances . 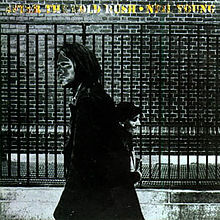 It was the traditional closer of the show, as can be heard on his famous live album It’s Too Late To Stop Now (1974), being the only Astral Weeks track on this album. While the music (including overdubbed strings and harpsichord) doesn’t really stand out in my opinion, it are the lyrics that really shine here. Morrison sings a story about his Belfast adolescence and despite using some stream-of-consciousness, it remains very recognizable; about the power of attraction of places that are nearby, but differing very much of the neighborhood where you grew up yourself. Side two opens with a rather short track, ‘The Way Young Lovers Do’. It really differs from the other songs as the up-tempo playing drums and the adding of a horns section gives this song a very jazzy character. Therefore it’s being much criticized because of not fitting within the album’s context. Sure, it looks like a song from his following album Moondance, but does it therefore sound any less emotional? Moreover, give it a shot not to sing along with Van’s vocal punches during the chorus. Next is a true gem: ‘Madame George’. This is an absolutely stunning song considering the circumstances in which the album was recorded. While it was Berliner tangoing with Morrison on ‘Beside You’, it’s now time for bassist Richard Davis to shine and to lead Morrison throughout this song. A string quartet adds to the classical chamber-sound here, while Van fills this chamber with his fantastic images without having to worry about any relation between them. Get on the train. Can it go any better from here? Yes, one more time when ‘Ballerina’ sets in. Morrison wrote this song already in 1966 while touring in San Francisco with Them. It’s an amazing song, with perhaps his best vocal performance on the entire album. He really pulls you into this story from the very first lines and the grip only gets tighter towards the end, till the last pirouette fades out of your thoughts. At last, Astral Weeks is closed by ‘Slim Slow Slider’. It was also the song that was last added after being shortened many times, sounding very gloomy. Not standing out, but closing this astral trip in an apposite way: with death and Morrison smacking on his guitar. Meanwhile Astral Weeks has reached double the age of Morrison when he made it, and still remains one of the absolute best albums of all time. 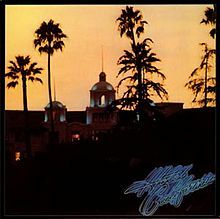 Not possible to rank this album in any specific genre, it’s recommended to anybody interested in just music in general. Enjoy.